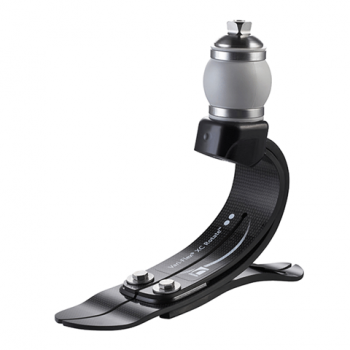 The Vari-Flex XC Rotate by Ossur is an innovative new prosthetic foot that offers more dynamics and function in a lightweight and short build height. This is especially helpful for active amputees with long residual limbs, who have trouble fitting highly dynamic feet due to the lack of space. The XC Rotate borrows the design and energy return of Ossur’s Flex Run running foot, while incorporating benefits of a carbon fiber prosthetic heel and vertical and rotational dampening for high activity.